The 10 album/12 CD box, 10 album/13-piece vinyl set and digital download will feature all of the material officially released by Bowie during the era. 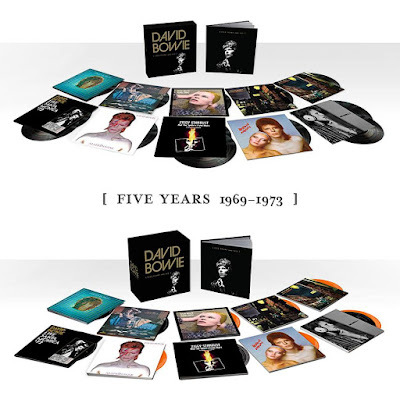 The package includes six studio albums, two live releases and “Re:Call 1”, an exclusive, new 2-disc compilation of non-album singles, single versions & B-sides. 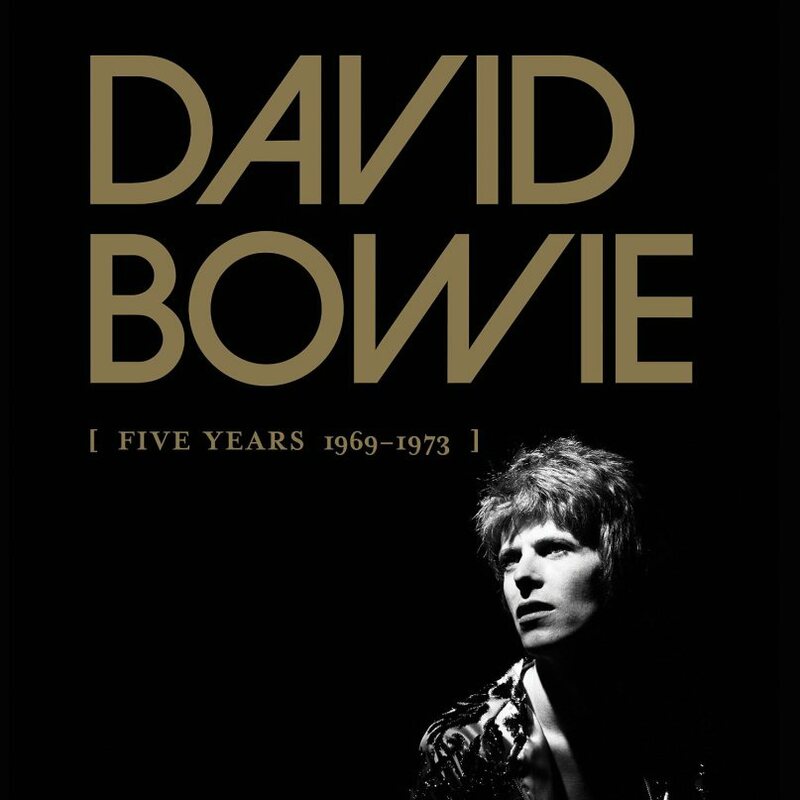 All versions of “Five Years 1969–1973” will present a 2003 stereo remix of “The Rise And Fall Of Ziggy Stardust And The Spiders From Mars” by the album’s original co-producer, Ken Scott, previously only available on DVD with the LP/DVD format of the 40th anniversary edition of the album. Among the tracks featured on the “Re:Call 1” compilation are a previously unreleased single edit of “All The Madmen” – originally set for a US release but never actually issued – and the original version of “Holy Holy”, which was only ever released on the original 1971 Mercury single and hasn’t been available in any official package since. 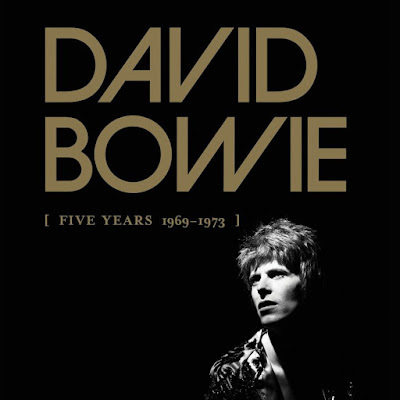 “Five Years 1969-1973” will also include a companion book with rarely-seen photos as well as technical notes about each album from producers Tony Visconti and Ken Scott, an original press review for each album and a short foreword by Ray Davies of The Kinks.